Every Easter there are loads of people who still enjoy dying hard-boiled eggs and dipping them into a plethora of colorful paints. I remember doing this as a child and it was really messy and I didn’t even like eggs. Oh well, you can please everyone! But today times have changed and egg designs are far more elaborate and delicate. Some paint intricate designs, while other’s make use of the following techniques, tye-dye, colored wax, stencils, marbling and speckling with shaving cream, using tea bags, silk tye wraps, applying graphic art tape, using colored tissue paper and the list can go on and on. Decorating eggs has become an art form that is celebrated every Easter. Then there are people like me who love creating Easter animals, toys and eggs with yarn. This year I’m giving a variety of crocheted gifts and making Easter eggs is by far the easiest. They’re also a lot of fun to decorate with floral patterns that you can embroider on. I featured the Easter bunny last week and you can find more about the pattern HERE. This week I whipped a few crocheted eggs and made them in soft colors to reflect the holiday. You can find a free crochet egg pattern on Zeens and Roger or Ravelry. Zeens will give you some embroidery ideas. The eggs are made form a DK — double knit yarn. If you use worsted weight, the eggs will be larger and not a true accurate size of eggs. But, the larger eggs are just as adorable. I preferred the DK yarn myself and I love the end result. I separated some worsted weight yarn into 2 strands to get yarn for my embroidery. You could use crochet cotton if you have some at home, but I find they don’t come in a lot of colors… at least where I live. The eggs took about 20 minutes to make, stuff and embroider. Super fast and super cute. Happy Easter! Disclaimer: These are not my patterns, I’m just featuring them for those who love to crochet. The included links will take you to the creator of the pattern. These are so cute and I like the idea of separating the yarn into 2 strands for embroidery I would like to try to embroidery and this would be the perfect project. Thank you. These are such an adorable idea. They would be perfect for search and find games that you can use over and over. Very pretty as well. These are adorable! I love the detail on the eggs. My daughter loved knit and crocheted toys. Her favorite was an octopus. I am hoping to learn to crochet soon. 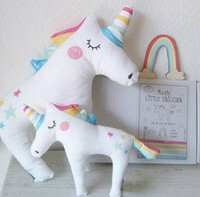 It is crafts like these that make me wish that I was more talented at needlework! These are so cute! I love knitting but never learn to crochet! Super cute! They would looks great in an Easter basket! These are so pretty and unique. This would be such a fun project for Easter. 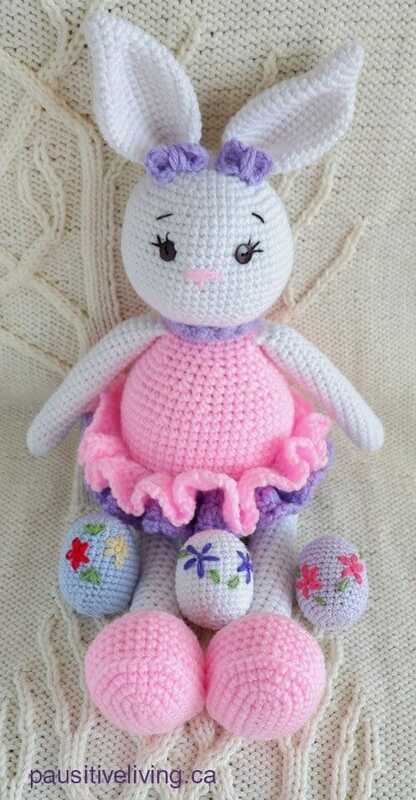 I would love to learn to make these for the my granddaughter she loves Easter. These eggs are beautiful. I would love to learn how to crochet. I want to learn how to make these. They are such a cute gift idea. I would love to make the bunny and the eggs next Easter for the young kids in the family. Thank you so much for this awesome project, they are so cute. These bunnies and Easter eggs are so cute! Thank you for sharing the patterns. I like floral patterns on eggs, they look pretty and creative! I’m going to have to get the supplies tonight to do these with my daughter! So cute! Love the bunny, it’s so cute. they are just adorable. Would sure make great decorations or non candy gifts for the little ones or anyone! These are so sweet! I wish I knew how to crochet!